My soon to be seven year old son Lincoln drew this in my office recently. The five stick figures represent our family, and the two dogs belong to us too. 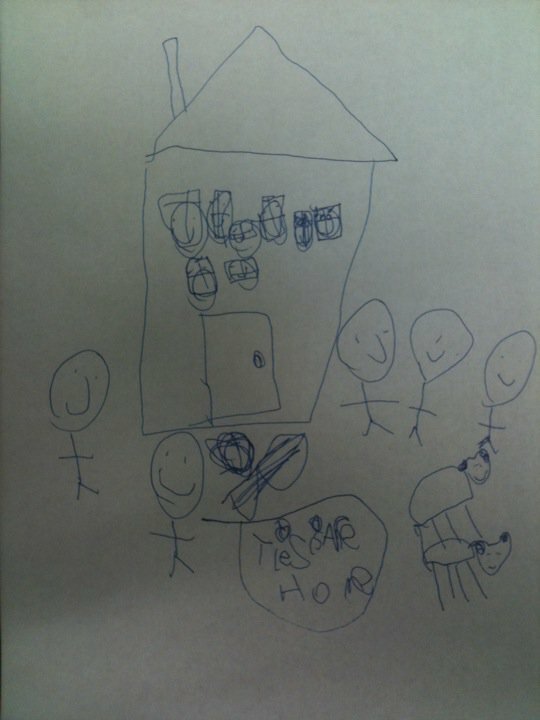 At the bottom is written “This is are home” in first grade penmanship. I was thrilled that my boy saw our home as a happy place. John also had a vision of the new Jerusalem in Revelation 21. When we realize that “God is there,” then we can start experiencing God HERE. Staff Day Apart a Success!